In most careers there are established scales to indicate the level of success. The corporate ladder is broken down by rungs and it’s easy to determine how far along you are and at what point you can considered yourself legitimate, established, or successful. Creative fields are murkier and novel writing—particularly with the advent of self-publishing—downright opaque. Is it when you’ve finished a novel that you’ve arrived? When you publish it? When you sell a thousand copies? Ten thousand? Fifty? Is it when you are published in foreign languages? When you become eligible for membership in SFFWA? When you get a traditional contract? When you make the USA Today bestseller’s list? The New York Times list? When you win the Hugo, the Pulitzer, or the Nobel? When you’re book is made into a movie? Or when you’ve made enough money off your writing to start your own endowment to the arts? Different people have different opinions on this. I personally had only one milestone I felt would indicate success to me. It’s when I spy someone I don’t know on a train, a bus, in a park, or coffee shop who is reading one of my books. To me that will indicate that the well-spring of saturation has risen high enough to see with my own eyes. It hasn’t happened yet. My daughter had a different gauge. 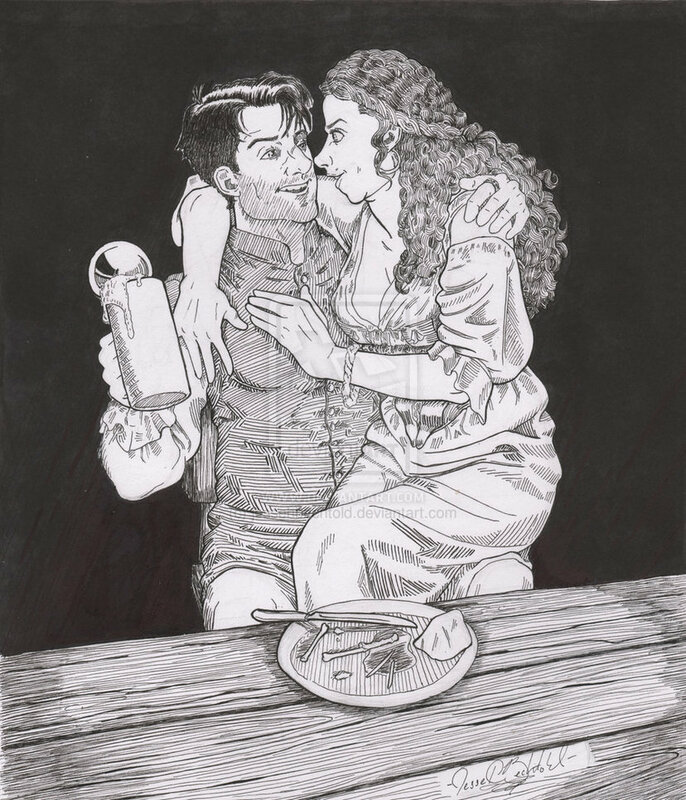 In her way of looking at things, I wouldn’t be a success as a fantasy author until someone I’ve never met or had any dealings with, produced fan art for my stories. I can’t wait to see what Jesse comes up with next. He sells prints of his artwork. If you’d like to buy one, or post a comment on his art gallery page go to this link. Maybe he’ll take requests. Thanks Jesse for making me a success in my daughter’s eyes. It IS a metric that someone would take the time to do that out of their own sweat and effort. It was fun seeing that. I might start bribing people to read your book on the metro. You should be a success in your own eyes too.